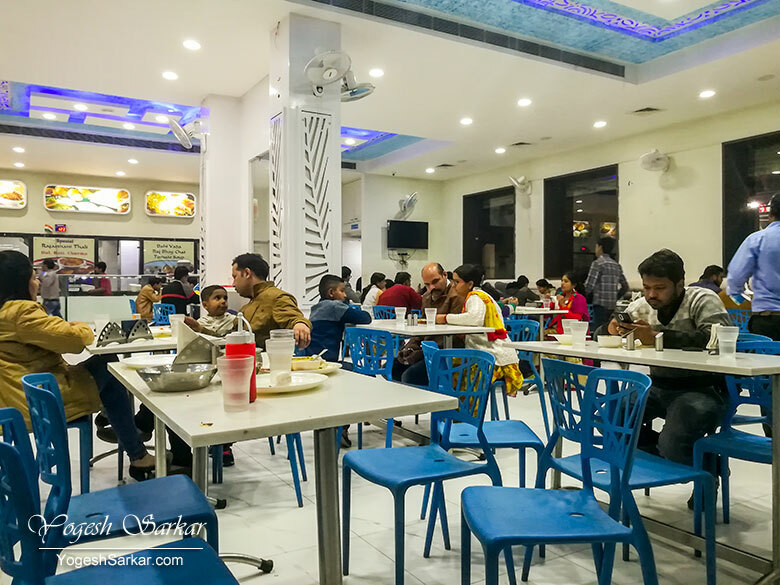 Roaming around the old city of Bikaner, it is near impossible to miss the Amberwalla, because it appears to be the largest restaurant around. 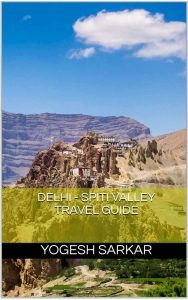 So when we got tired of roaming around and couldn’t find Hotel Suraj that Bhuwan sir had recommended, we decided to head to Amberwalla instead. The restaurant was buzzing with activity and thankfully we found a table easily. However, finding the attention of the waiter was a lot more difficult! Because this place only has like 3 of them! And we later learned, patrons have the option of treating this place as a self-service restaurant or wait half an hour for the waiter to finally arrive at your table and around the similar time to bring you food! After an agonizing wait, especially considering they weren’t really going to make fresh bati or any of the other things on the order list, the waiter finally brought over our food. Since they neither had lahsun chatni nor masala or sweet bati, they decided to “make up for it” by serving us two identical thalis consisting of gatta ki subzi, dal, mirchi tipori, papad, churma and 4 plain bati! Of course, this was done without informing us and we weren’t even informed that the batis served to me were all the same! Taste wise too the food wasn’t really good. In fact, it badly needed lahsun chatni, since the dal tasted bland without it. 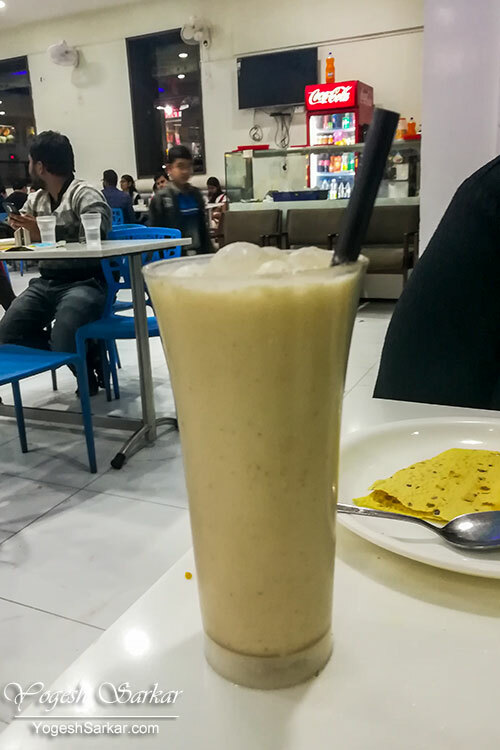 We somehow finished it up, and then had to wait for another 15 minutes to get chach, which was equally medicore and looked more like slightly salted lassi than chach! The only good bit was, they didn’t charge us extra for upgrading Mansi’s thali, though they didn’t charge less for the downgraded thali they served me! And we ended up wasting our evening and Rs. 372 for it! 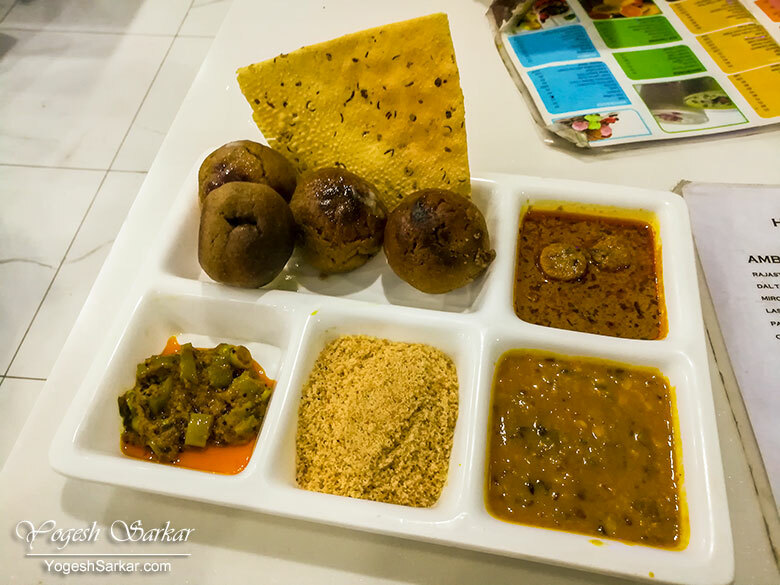 Overall, Hotel Amberwalla in Bikaner served us the worst food of the trip, with the exception of the breakfast served by RTDC Dhola Maru, which was even worse! I guess unchi dukan fika pakwan (big shop, tasteless food) idium fits aptly for the Amberwalla.